Some superheroes have super-strength. Good for them. Others have the ability to fly. Woo-hoo. Big deal. But Rocket Raccoon doesn’t need fancy skills, he just has a really big gun. Impressive! 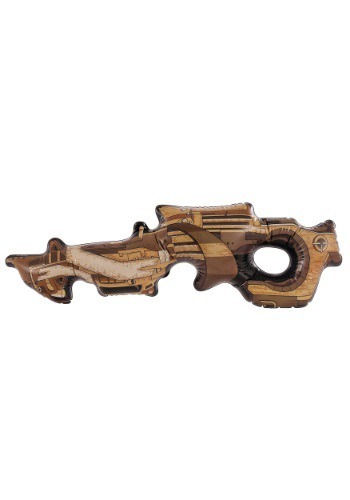 You may not be able to get away with hauling a giant hand cannon around with you wherever you go, but this Rocket Raccoon Inflatable Weapon is a completely acceptable option for accessorizing this Halloween. It is from the Guardians of the Galaxy movie--so all your pals will recognize and envy it--but it is also a toy, so it’s super portable (and a whole lot safer!) It inflates to 34” long, with all the looks of a deadly space gun, but the Nova Corps won't have to charge you with anything for being in possession of it. And that is relief, because you just spent your savings on your sweet Rocket costume to go along with it!